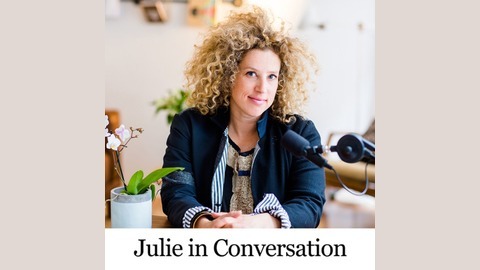 Julie in Conversation is a live weekly podcast featuring Julie Cusmariu, host, producer and creator, in conversation with renowned guests to inspire personal and collective change and health and social healing. Voices That Create Change, Julie's newest series features intimate conversations that inspire us to open our minds and lead with our hearts. Julie's most recent series #Motherhood #LetsCreateAVillage, garnered attention and listeners worldwide. Join Julie live Wednesdays at 11 amPT/ 2pm ET in the chat room and through the archives. 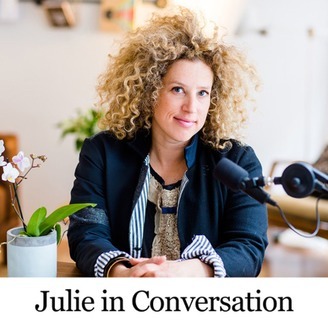 www.JulieinConversation.com. Thanks for joining us for intuition and more. Asha Frost, Indigenous Medicine Woman on healing, cultural appropriation, biases and animal medicine.